Does anyone know if this will work with the LG 60PK250 plasma ? 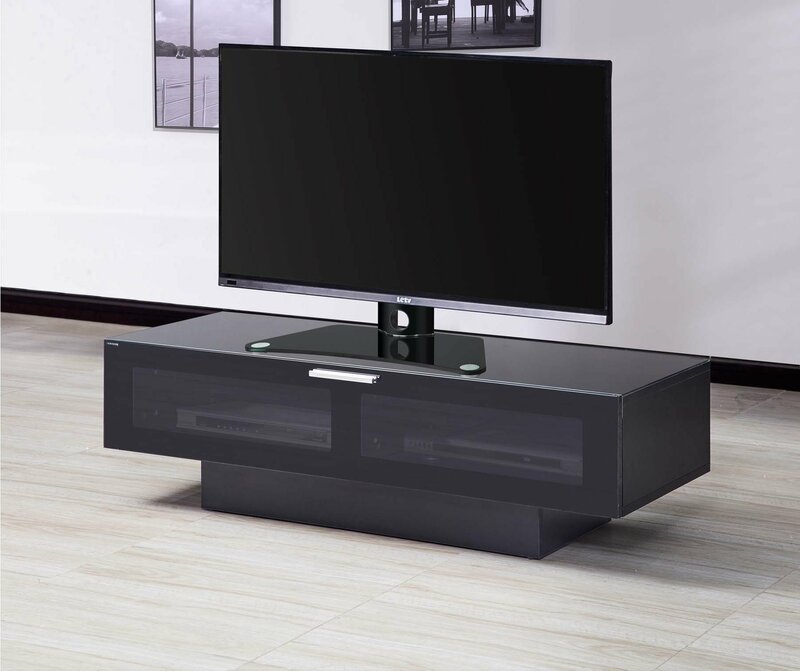 I have a 42inch Panasonic Viera Model No TH-42PX70BA will this stand be suitable? This stand is plenty strong for a Sony 60”. So it will have no problem with a 42”. I am looking to use the stand with a Samsung 49" TV. Can you advise if it is height adjustable? 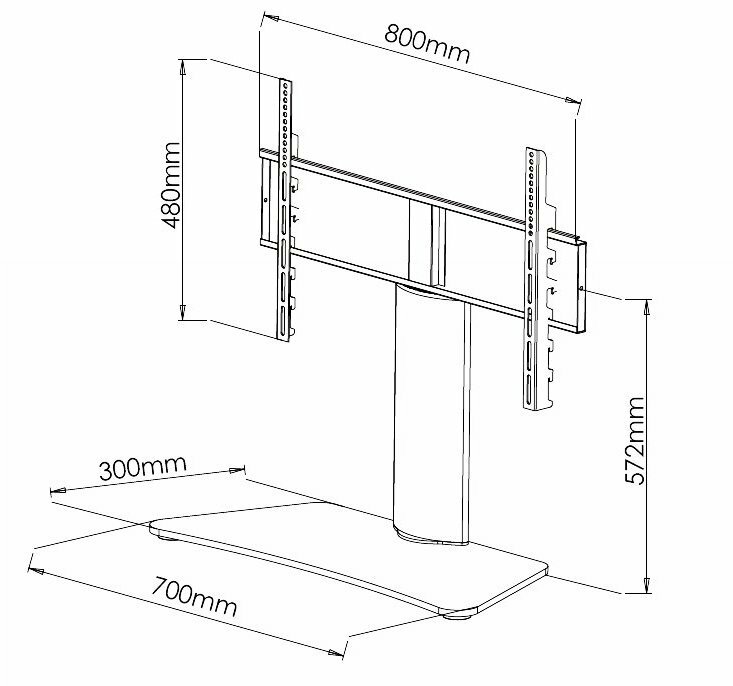 and what the minimum and max gap would be between the bottom of the TV and the base of the stand ? Yes, it is height adjustable. I have a 65" Curved TV mounted on one and a 55" TV mounted on a second stand. It is very secure and well built. I cannot give you exact dimensions but my 65" TV base is mounted 8" from the cupboard it stands on and can go about another 3" to 4" lower. Height wise the adjustment is around 12" approx. Once mounted on the rear of the TV it is an easy job to adjust the height. It also swivels. I really love it. Hope this helps. Is there anyway a shelf could be added for a sky box or DVD player? Hy you will have no problems with this stand the fixing at the back are numerous and allow for all of the screens I have seen,it is one hell of a sturdy unit and looks very classy also there is a fair of side to side movement allowing the screen to be seen at all angles. Hi Jamie, it has been a while since I set up mine and I am also very happy with it, by the way. 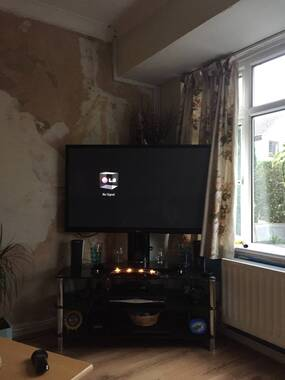 However, I am not as positive as Kevin about whether it will fit your TV without some of the frame being visible. As long as you buy online or over the phone, you will have the ability to take it or send it back for a refund if there are problems. 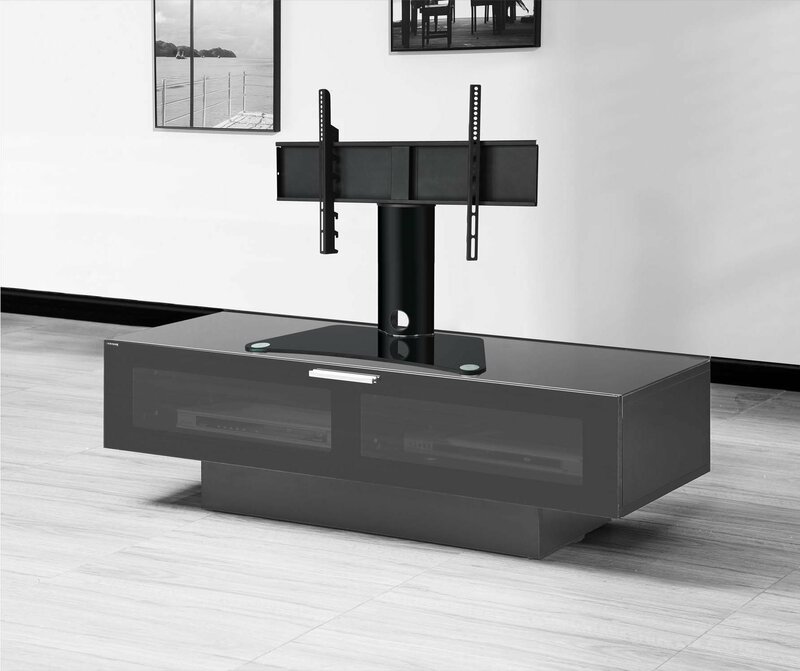 The permutations for a good fit are quite extensive and it may be that you could use the top holes for the totally secure 'height' fit and the bottom slots (which you are right about) as the secondary means of securing the TV. It is always more reassuring when the bolts go through a dedicated hole in the frame, but the slots should work OK too. Just check that 4 of the bolts supplied are the right size and length for your TV, not all manufacturers are forthcoming about the maximum screw length you can put into the back of the TV without damaging components. If you can make it work for you, I am sure you won't be disappointed with the result. Good luck. 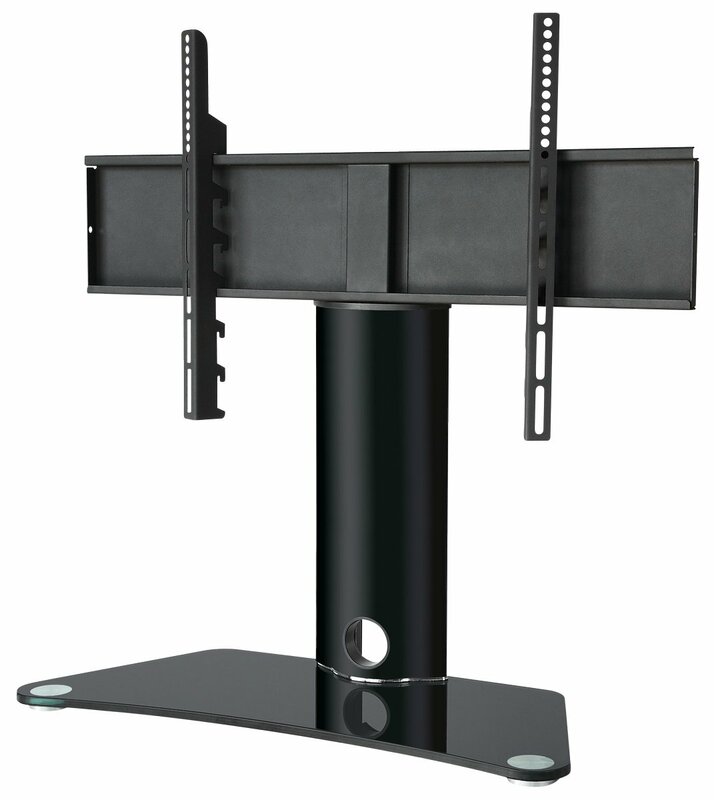 Would this stand be suitable for my Panasonic TX-L55ET60B ? 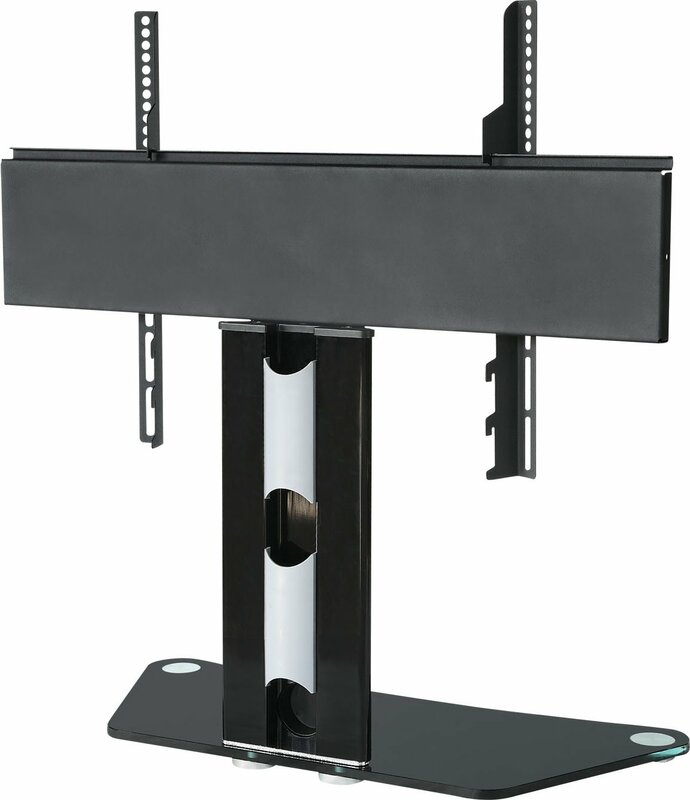 I was wondering if this stand would fit and hold a Panasonic viera 46" TV. The measurements between the holes in the back are about 660mm. I's it easily adjustable? And is it a 2 person job? !